So before now we have looked at the first 4 chakras. If you haven’t read the other posts I advise you to start from Muladhara chakra. The great beginning. The throat is our cosmic bridge to the higher chakras and our own higher states of being. That said, Vishuddha is a reminder that the universe is a vast place. Way bigger than us. The lessons this chakra teaches us are about ultimate truth and coming out of the self and part of something much, MUCH bigger. This is shown to us though its element akasha. 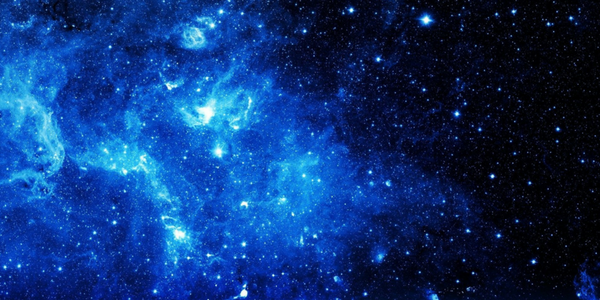 Akasha is a Sanskrit word for ether, atmosphere, space, vacuity. This element is the least tangible so far. Even more so than Anahata’s element air. Air is an element of this planet and ether is beyond the confines of our home Earth. The colour of the sky on a glorious sunny day is the same colour as Vishuddha. In Urdu-Hindi, Bengali and Nepali akasha means sky. To connect to Vishuddha…look up! To me, there are 2 words that strongly sum up Vishuddha; Truth and vastness. This world is small in comparison with this galaxy let alone the universe and multiverses. Our own problems can sometimes feel humongous but really…when we REALLY look at things, usually they are not so. Only Truth matters. Being misunderstood, disappointment and let-downs can be hurtful but when dealt with with dignity and perspective we can stay unaffected and keep striving to do our best for the greater good. This can take some practice and trust. It helps to have a spark of belief in a supreme energy or force (but not essential). Be it Nature, Higher Power, Goddess, God, the Sun, the Almighty Oneness or even the just power of good. These are just a handful names for the expression of Divine Source. Feel free to add to the list using your own words to capture your personal Truth. Try it! You might learn something about yourself and your personal Truth. Vishuddha is the cosmic bridge between our heart and our mind. A healthy Vishuddha brings balance between the two. Embracing the spiritual aspect of our being is healing for this chakra. Especially if we have done work on the previous chakras as the work done will be more grounded, secure and we’ll be more comfortable in our skin and on this planet. Whenever embarking on journeys of spiritual nature it is essential that we are building on strong foundations, to avoid spiritual bypass. This brings us to another word that plays an important role in the evolution of our Vishuddha chakras; spirituality. What does this mean to you? Spirituality is unifying concept. Whatever religion you have, or if you haven’t got one at all, you can live by spiritual principals. Like the golden rule; treat others how YOU would like to be treated. You also may not have a definitive religion but believe in a divine power. Having a relationship with the divine is a very personal journey; one I have no desire to tell you how to do. Not one little bit. Some people pray or recite mantras, meditate, make pilgrims or just go about their lives treading lightly on the very ground they walk on so as not to hurt the earth. Others protest and march for their passionate beliefs. I invite you to find your own way. Another core theme of Vishuddha is communication. The true potential and power of words can be used to heal and to harm. The use of language is really a gift. It is believed that it’s sheer fluke that we can talk at all, it’s said a mutated gene is what created our voice box. Whatever way you look at it we are blessed to be able to communicate through the weird and wonderful use of words. Vishuddha teaches us to use the power of words to make the world a better place. Speaking with compassion is remembering what we have learnt from Anahata’s lessons. But also being able to speak up for our Truth is using the power of positive action we learnt at Manipura. Also we must not forget the importance of listening as a form of communication. One last lesson that Vishuddha has certainly helped me with is we cannot change the past but we ARE creators of our futures. No matter what has come before this moment you have survived. It has made you who you are today and brought you to this very moment and just the fact that you are reading this right now says to me that you are in a pretty good place. You are on your healing journey. I wish you well on it. Enjoy every moment and don’t look back! You are the person you are today not in spite of the past but BECAUSE of it. Lies and gossiping interfere with the health of this chakra. A harmonious Vishudda brings spiritual wisdom and profound knowledge. 1) Vishuddha means pureness or purification – this suggests work to the chakras 1-4 needs to be done for the truth of the throat charka to be truly experienced and understood. 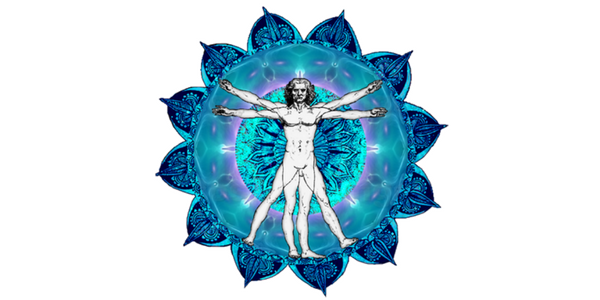 Have you dealt with issues of the other chakras? 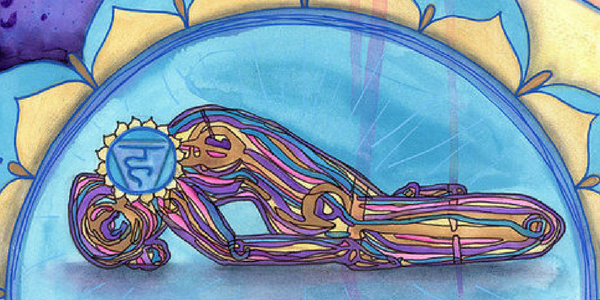 2) Our throat chakra is our centre of communication. How well do you feel you communicate? Can you easily say what you mean or express how you are feeling? Maybe try to explain how you feel right now to yourself out loud (if it’s suitable). Do you find it easy or challenging? 3) When Vishuddha is harmonious we experience a true feeling of our inner and outer worlds being in sync. This harmony is in our actions, feelings and words. How true is this for you? Meditating in silence is healing for this chakra. Listening fully to the sounds around you rather than the chatter of your chitta (mind stuff). In this technological age we are in we usually have some kind of noise, be it a radio, iPod, tv or laptop feeding us information. With no external stimulus we are given a chance to observe our own head/thought patterns. Staying unaffected by whatever the flow is bringing. Once we have learnt that there is an option to thinking we can experience just being. In meditation thoughts do arise, it happens, right? But we do not have to think the thoughts, or let them affect us. Just sit comfortably on a chair or cross legged if you prefer. Find somewhere you will not be disturbed and sit with a straight spine for 10, 20 or 30 minutes. You can visualise a blue lotus flowering at your throat, you can use this to help bring you back to present time and work on Vishuddha. Just roll up your mat and practice your favourite poses with a smile in your heart. That should do the trick. Make sure to see the blue sky! Look up! 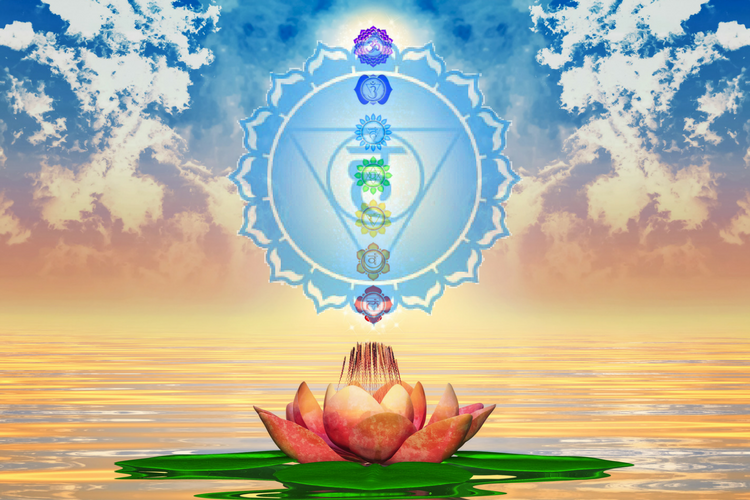 If you enjoyed this blog on the 5th Chakra, we invite you to read the previous in our chakra series – the Anahata Chakra.